Is it possible to have sympathy for the self-professed “biggest club in the world”, Manchester United? Are we able to swallow our natural distaste for the Premiership’s biggest purveyor of double standards? Or are Ramon Calderon’s smug , self-serving remarks simply comeuppance for a club that has had its own way, time and again, in that most underhand of trading floors: the transfer market? But has Nelson Muntz finally come a cropper when faced with an even bigger bully? For none of us can have missed the painfully protracted – but also faintly amusing – saga involving plat du jour and soi-disant “slave” Cristiano Ronaldo. And one can’t help but feel a little sorry for poor Ramon Calderon who, after all, has been a helpless spectator in this whole sorry mess. There’s something in these unctuous, self-satisfied sentiments that reminds me of the snivelling creep on the outskirts of the playground, egging the fight on to its nasty little dénouement. Big club Madrid may be, but the president seems to have all the backbone of baby diarrhoea. Now compare and contrast, as the old exam papers used to say, the behaviour of the other members of the Big Three. There’s Arsenal, who seem to conduct all their buying and selling in some sort of sound- and press-proof alternate reality, and Chelsea, who… er… well, ok, the Ashley Cole debacle may have only just exhausted its long-lasting stink, and there’s still something fundamentally fishy about the whole Mikel saga, but on the whole, the club seems to be fairly sensible in how it conducts itself. The pleasant comments about Chelsea by chairmen from Eindhoven to Milan may be as much to do with the overpaying as with the manner of the deals, but… take the will-he-won’t-he Robinho bore-a-thon that seems finally to have ground its way to a halt. 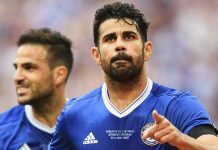 Chelsea did finally admit to an interest in the player, long after another party (either Madrid or the player’s agent) leaked the details to the press. Aside from that, Chelsea have studiously avoided the sort of seduction by media that is deemed acceptable in Europe at the moment. No casual mention of vast wage increases. No metaphorical appendage-waving. Certainly no orchestrated media usage to unsettle the little bugger before playing coy over figures and trying to talk the price down. I guess the aspect of Madrid’s role in all this that irritates me the most is its refusal to actually engage. When it comes down to brass tacks, the club has the history and heritage to stand tall and the money – probably – to effect a fair purchase for an outstanding player. But will they act like adults and negotiate? It doesn’t sound like it. Far from punching their weight and trying to keep some measure of respect into the bargain, they dip their dainty toes in and out of the water. And remind us all, in the process, of a lesson that travelling Liverpool fans have taught us on so many occasions. You can have history. You can have money. But neither of these things can guarantee you class.